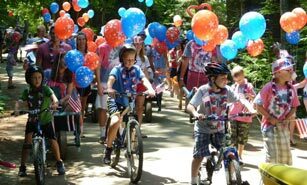 Special Offers - RDC Rockywold Deephaven Camps - Vacation deals and more! More Great Reasons to Plan your Vacation to RDC! We are offering great vacation deals that could save you 10% on your week long stay at RDC. If you introduce a new family to RDC (or a family that hasn’t been here in the past five years), and they rent a cottage for a week or more (during our off-peak season weeks), both you and the new family get 10% taken off of your cottage lodging bills. 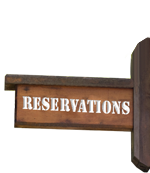 Each new family is required to go through the same seniority based reservation process as our returning guests. This incentive does not apply to stays of less than one week or if new guests are sharing a cottage with a returning guest. This year, off-peak season weeks run from June 1 to June 21 and August 31 to September 12. If you wish to participate, please give us a call and we will be happy to assist you. Please note that the dates of the offer are already discounted and that the combination of discounts may not exceed 40%. A Staff, Shareholder & Neighbor discount of 10% will apply for weeks 2 and 3; and a 20% discount for weeks 1, 12, 13 and 14. For our purposes, a neighbor is considered anyone living in a Squam Lakes watershed town or in a town abutting one of these five watershed towns. Please note that the dates of this offer are already discounted and that any combination of discounts may not exceed 40%. 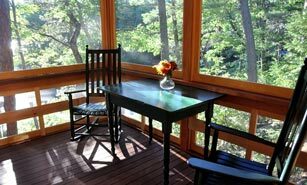 To provide a lower cost alternative for our guests, We offer a cottage rental category called Woodland Cottage Rates. During off-peak season weeks, we are offering a 20% discount for cottages that are located further from the water. The Woodland Cottages are Sheltering Pines, Hemlock Lodge and Montvert in Rockywold; and Park, Bell Tower, and Maurer in Deephaven. See RDC Camp map for cottage location. Please note that some of the dates listed above are already discounted time periods. Be aware that any combination of discounts or vacation deals may not exceed 40%. Squam Lake takes on a different character after Labor Day. With schools back in session, most visitors have departed and boats are largely absent. RDC becomes a more peaceful place as well, as occupancy drops sharply. Those who do visit – mostly couples without children – enjoy one of the best times of the year in the Squam region, with warm days and cool nights, perfect for evening fires. To encourage more couples to visit RDC at this special time, we will again be offering an extra incentive to spend a few days with us. In addition to our normal 20% discount at that time of year, we will make our three and four-person cottages available to couples at the two-person rate, subject to availability. This offer is good from June 1 to June 14 & September 2 to September 12. Dragonfly Yoga Barn will be holding it's 8th Annual Relax & Renew Yoga Retreat. Participants spend three days and nights at RDC enjoying yoga, Tai Chi, meditation, massage and more! In addition, RDC offers lakeside accommodations, delicious meals, kayaking, hiking, canoeing or just relaxing on the porch or dock. Early bird discounts are available. This is an all-inclusive 3-night retreat. All rooms have twin beds, shared baths, and are in one of Rockywold-Deephaven's beautiful lakeside lodges! 9 meals, lodging, daily classes & workshops, use of kayaks, and all taxes are included. This introductory to intermediate class includes sketching, painting and journaling to draw us closer to nature. It invites participants to explore the spirit of place through the lens of art using drawing, painting and design exercises. We’ll interpret the land, gardens, field and forest in terms of light, shape, color, texture, and space. Class takes place in and around land and water at Rockwold-Deephaven Camps. Class runs with 3 or more; 12 max. Adults and mature 10 years old and above. Sign up by Sunday dinner at Rock and Deep Office, or in advance with Carol. Meet at benches in Rock Garden, across from Rock Dining Room, 2:00 pm Wednesday. Cost = $30. Per Person for 2 hour session: Paid directly to Carol Jowdy. 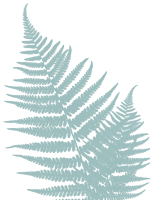 Writing at RDC: This year RDC will be hosting two great writing retreats. 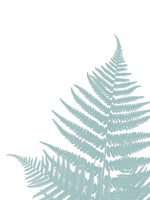 #squamwrites is a small group retreat for writers and illustrators of children’s literature. Do you have a novel that you dream about constantly but are delayed by the practical and artistic obstacles to getting it done? Learn how to begin or complete your novel with two experts in the field, and become better informed about the paths toward publication. Each day features a craft or conception class, as well as time to discuss and map your novel with committed fellow writers. 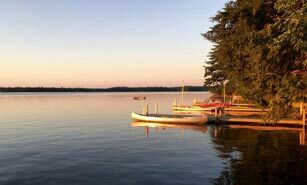 Socialize, hike, kayak, share your work, and get inspired on one of the most pristine lakes in New England - Squam Lake. This retreat is best for those with some previous writing experience, but we also welcome serious readers. 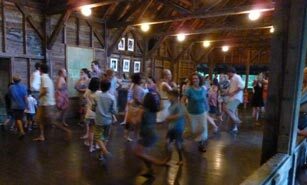 In June and September, Squam Art Workshops brings in many talented teachers for four days of creative classes nestled in the woods and along the lake! Participants and teachers come from around the world and there are classes for all levels. Classes on knitting, stitching, crocheting, photography, writing, painting, sculpture and more are offered. Take part in one of our most colorful events - sign up at www.squamartworkshops.com. For the past 24 years, RDC has hosted the Becoming an Outdoors Woman (BOW) retreat in early September. Becoming An Outdoors Woman classes focus on the learning of outdoor skills usually associated with hunting and fishing, but useful for many outdoor pursuits. More information about this program can be found at the Becoming An Outdoors Woman website. Once again our family has congregated at Rockywold. Over the 32+ years we have been coming here our family has returned for the wonderful camaraderie, peacefulness and rejuvenation of our hearts and souls in a time where so many families are torn apart, and at odds, we feel so fortunate to have this beautiful, safe haven to share in some of the most special and joyful occasions in life.